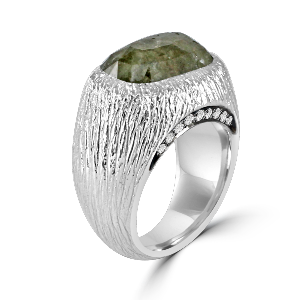 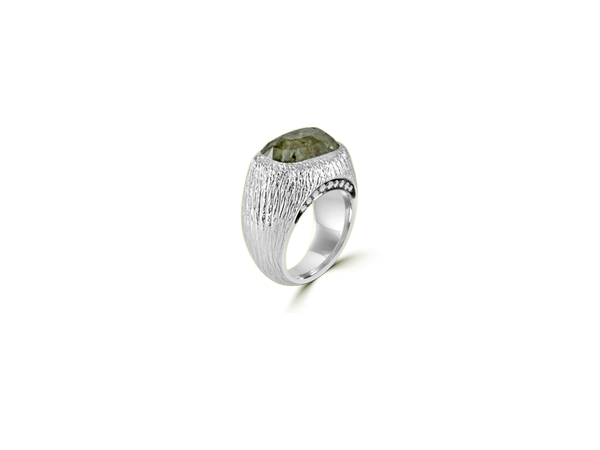 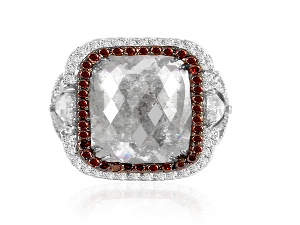 Statement ring featuring icy rosecut diamond set on a 18k textured gold accented with round brilliant diamonds. 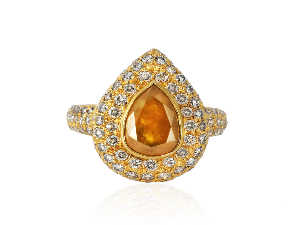 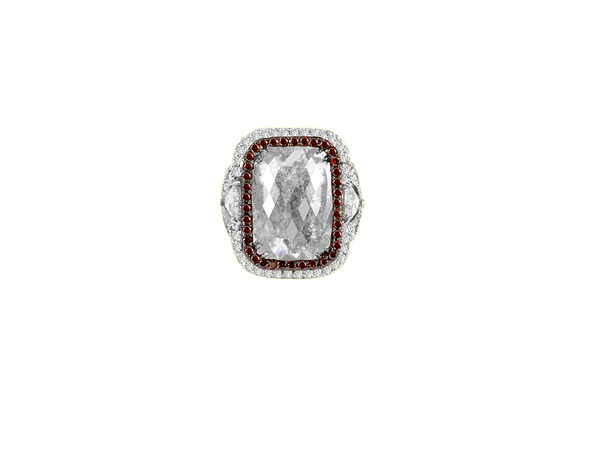 Icy cool diamond statement ring embraced with natural burnt orange and colorless round brilliant diamonds and accented with rosecut diamonds on each side set in 18k gold. 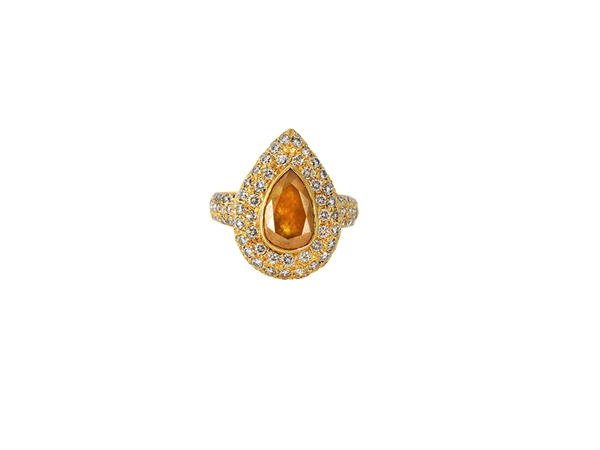 A fiery yellow pear shape icy diamond set into a ring surrounded with round brilliant diamonds in 18k gold. 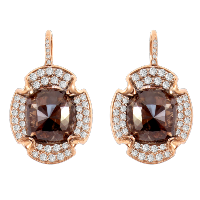 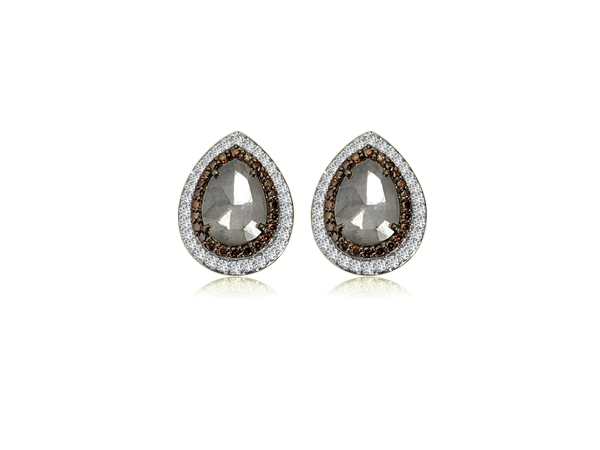 Pear shape grey icy diamond earring tops haloed with natural burnt orange and colorless round brilliant diamonds set in 18k gold. 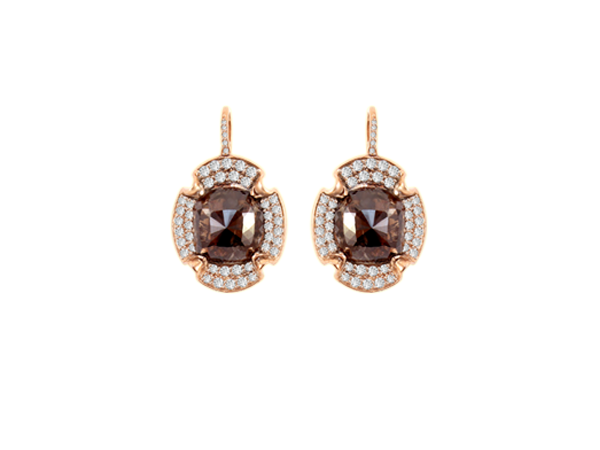 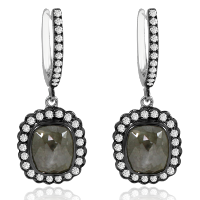 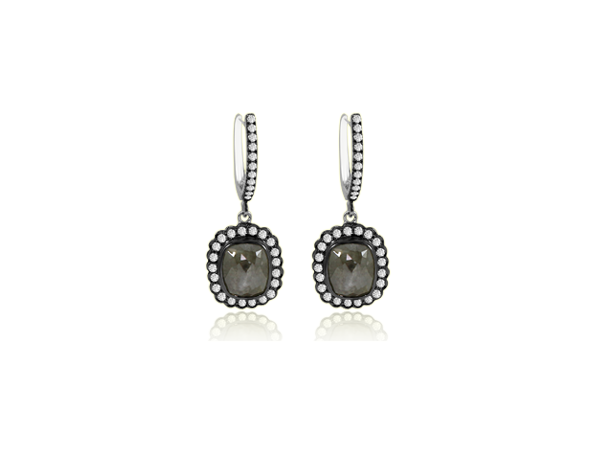 Drop earrings with grey icy diamond beautified with round brilliant diamonds set in 18k gold. 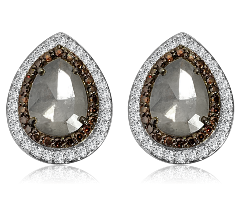 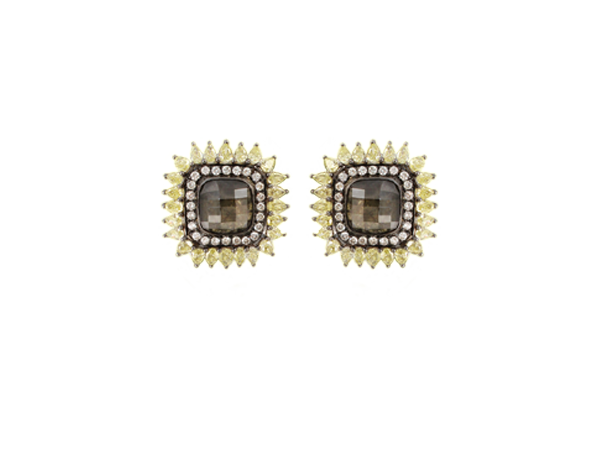 Earring tops featuring a matched pair of checkered cut icy diamond with a fluid transparency surrounded by brilliant round and pear shape diamonds set in 18k blackened gold. 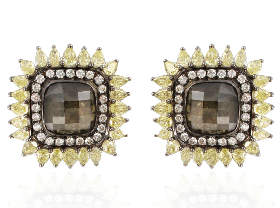 Dangle earrings featuring a matched pair of grey rosecut icy diamond with a halo of brilliant round diamonds set in 18k blackened gold.